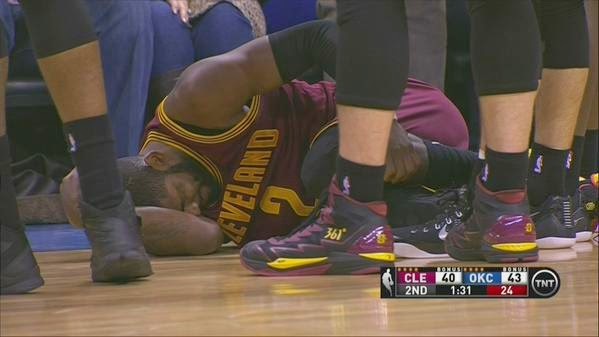 Kyrie Irving was injured in the Cleveland Cavaliers matchup tonight with the Oklahoma City Thunder. Irving went to block a Russell Westbrook shot, and landed awkwardly on his left knee! He was helped off the court. LeBron James, who is not playing tonight, ran in from the tunnel to help him off the court.